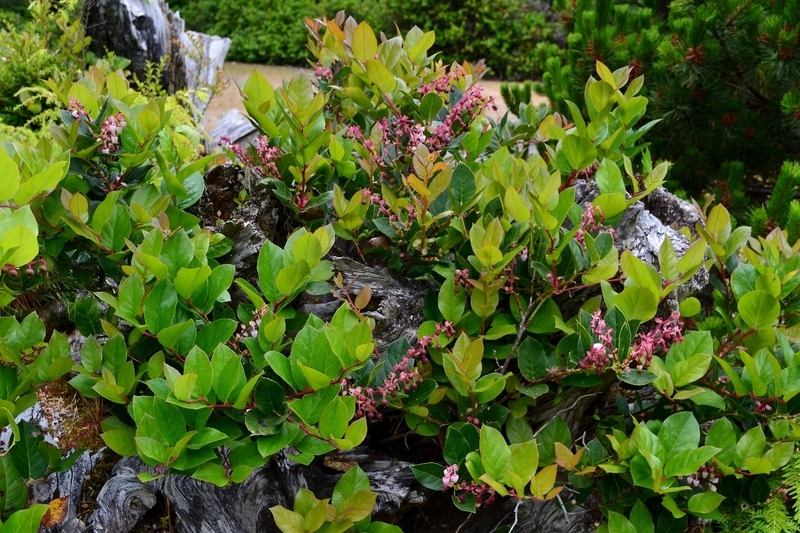 A Salal shrub (Gaultheria shallon) well established on a piece of drift wood as commonly seen along the Oregon coast. Salal berry could be perhaps one of the most widely abundant and under appreciated wild fruits of the Pacific Northwest. Common along coast lines, coniferous forest, logging roads, and river banks, Salal is a delightful treat that can be enjoyed during most outdoor adventures. While resembling a leathery blueberry in appearance, it has a juicy sweet flavor all of its own. Yet even despite its current unpopularity, Salal has made its mark in times past. Salal berry was collected by the Kwakwaka’wakw and was eaten raw or preserved and dried into flat cakes. 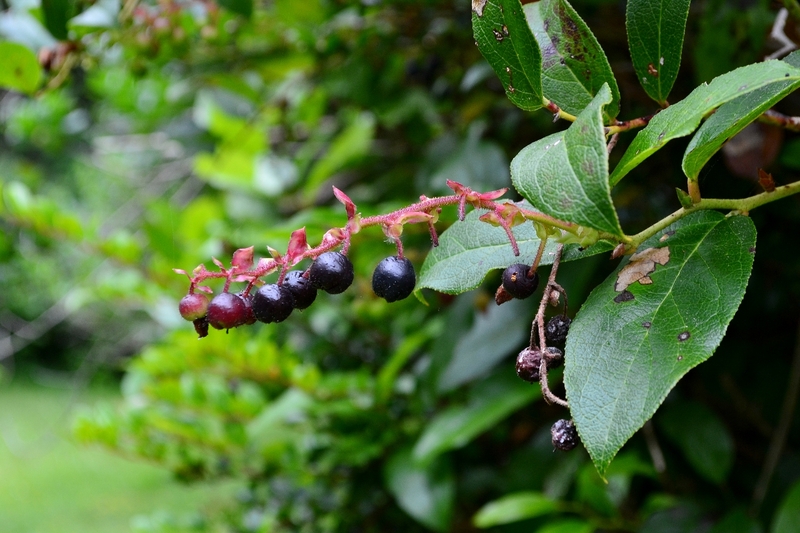 Salal has a long history as an important staple with the coastal native Americans. The Kwakwaka’wakw (Kwok-wok-ya-wok) harvested the berries and dried them into flat cakes for the winter months. During large feast the berries were dipped into oolichan grease and enjoyed as a delicacy. 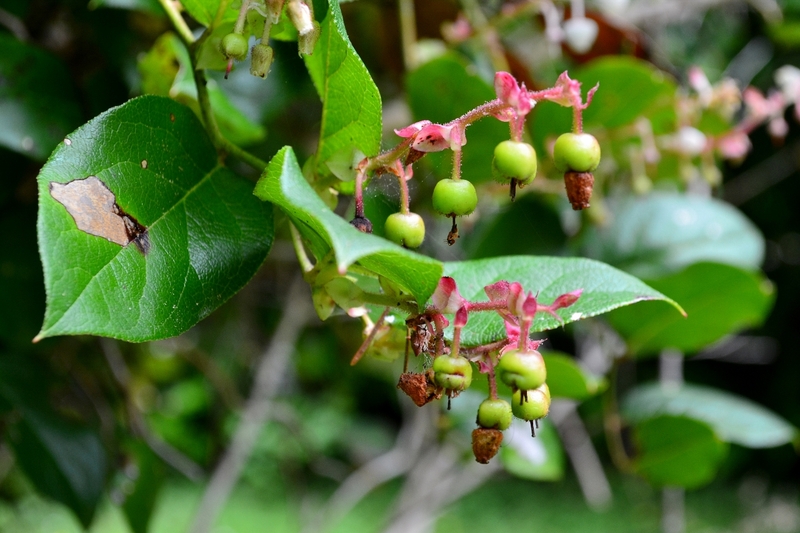 If not used as a sweetener the Haida often mixed Salal berries to thicken salmon eggs, and the young leaves were chewed by the Ditidaht as an appetite suppressor. 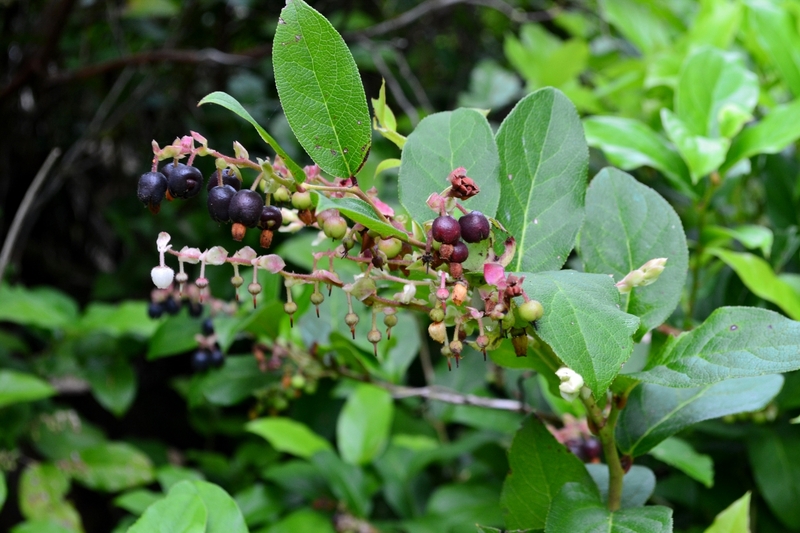 It was also common for Salal to be mixed with other berries such as elderberries and currents to be used for trading. 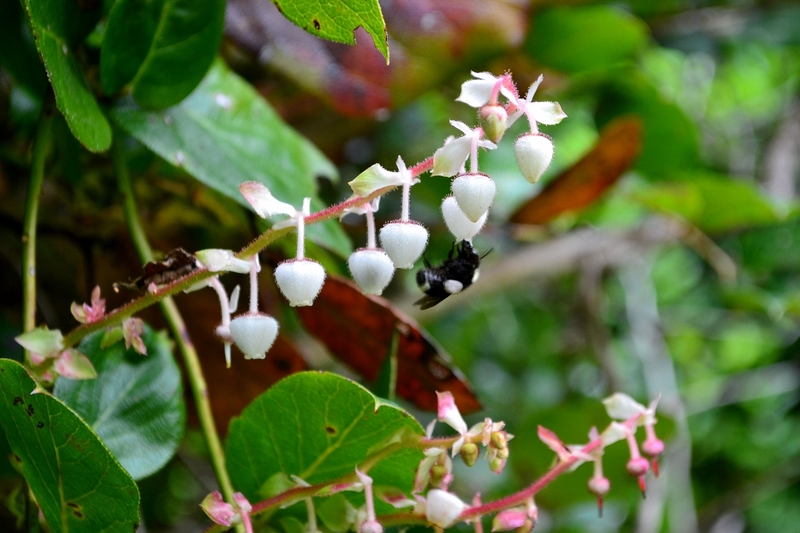 A humble Bumble pollinates a soon-to-be Salal Berry. The unripe fruit of Salal. Going to flower in mid-spring Salal berries can be collected and enjoyed throughout the summer months. Its juicy/fleshy pulp makes a great jam and can be used to make tasty fruit leather, pies, muffins and wine. In my experience harvesting can be a little tricky when learning how to pick these berries. Rather than trying to pull the berry off of its stem, try rolling the berry away from the stem for an easy release. Otherwise you might find when ‘pulling’ the berry skin is more likely to give before the stem does. Salal berry development from flower to ripe berry. Also note its leathery egg shaped leaves. If you have yet to try Salal berry why not give this tasty little fruit a try? And as you do so be sure to take a look around and reflect. Because once upon a time, this fruit was more than just a snack, it was a way of life to a people only now read about. Resource: Plants of the Pacific Northwest Coast, by Pojar Mackinnon. Maybe with articles like this, we will start to appreciate all the amazing forage we have in our area. Thanks for sharing! My mother picked Salal brush with her sister living in Neah Bay, WA to sell to floral shops. They were young mothers in the 1950’s and many native people made a living this way. Later she would make Salal berry jam, very unique tasting and delicious. They have long since passed away. As a child living in Washington St, I often foraged on the many berries available; one of them being the Salal berries. It is true the Salal is under appreciated. Good article. Does anybody have a good Salal jam recipe?